The Tuesday program is a free seven week online positive psychology intervention course which aims to increase general well-being by using already empirically validated approaches and techniques. Participants log onto the program website (www.thetuesdayprogram.com) every Tuesday for seven consecutive weeks, learning a new topic each week. The seven topics include: strengths, growth mindsets, purpose and values, gratitude, communication, relaxation, and mindfulness. Participants learn these new skills in under 10 minutes by watching a short 4-6 minute animation, and then by downloading a short 2-3 page .pdf document which summaries what they have watched and provides instructions on implementing these new skills. Positive psychology is new, but rapidly growing. 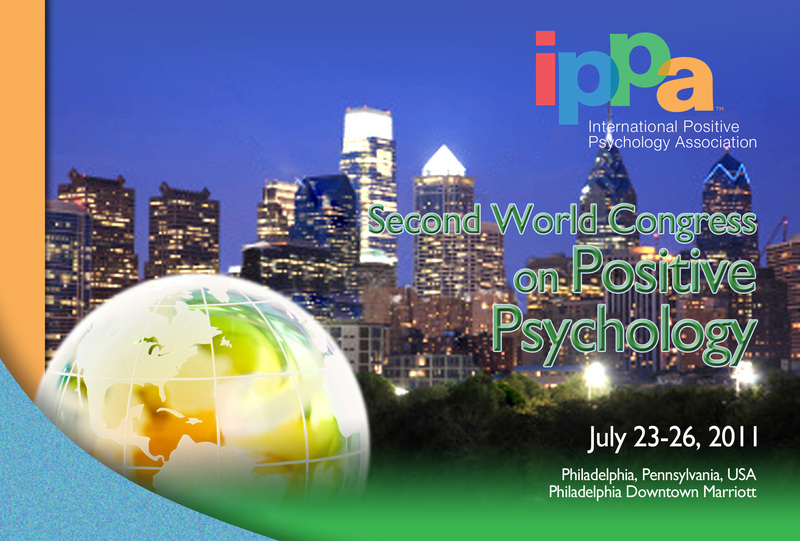 The International Positive Psychology Association’s student division (SIPPA) and positive psychology masters programs are emerging (at least 15 around the world), and positive psychology publications and books have increased in number. -Positive journalism: journalism that uncovers what is hidden as well as praises what is worthy. At the First World Congress on Positive Psychology in 2009, Martin Seligman issued a challenge to positive psychology. The challenge is to ensure that 51% of the world‘s population is flourishing by the year 2051. If we take this challenge seriously, there is lots of work for everyone in positive psychology to do. There is the theoretical work of developing definitions and models of human flourishing, the empirical work of determining the best ways to help people achieve human flourishing, and the applied work of delivering positive interventions to individuals and communities. But positive psychology will not be able to meet this challenge alone. All of the social sciences will have to collaborate in the development of a mature science of well-being. Equally important will be the development of a culture of well-being. Key here is the engagement of the humanities, the branch of learning that studies human culture. The humanities, which includes such disciplines as history, literature, law, philosophy, religious studies, art, and music, influences every aspect of our lives and comprises a large part of what is taught to children in K-12 schools and to adults in universities. Love is NOT: sexual desire (there is love in sexual desire), special bonds (products of love), commitment (which is a decision), exclusive (love is not felt for just one person), and lasting (as with all other emotions, love is a reaction to changing circumstances). And, finally, love is not unconditional, in that it requires two preconditions: 1) safety felt when with another, and 2) connection in the form of co-presence, eye contact, touch, voice, etc. Love IS: an investment in the well-being of others for others’ sake, and perceived responsibility for them and them for you (i.e., the feeling that others ‘get’ me/care about me, etc). Love, like other emotions, has a biological component. Her resulting definition for love: an interpersonal, social situation with positive emotion marked by momentary increases in invested well-being in others, bio-behavioral synchrony, and mutual responsive action tendencies. Taking a step back, Fredrickson gave an overview of the numerous positive aspects of positive emotions, especially the ways they make us feel connected to others emotionally and the way they make us better at taking others’ perspectives, which not only makes us more likely to help them but enables us to see past differences that may divide us, such as racial differences. She then drew on several studies to highlight the behavioral and neurological effects when two people share positive emotions. The more connected two people feel—such as through sharing joy, gratitude, pride, laughter, inspiration, awe, etc.(! )—the more they will move their bodies in similar ways and the more their neurological activity will look the same. So this sounds a lot like what she defines as “love,” doesn’t it? In fact, Fredrickson proposed that when any positive emotion is shared between two people, the act of sharing that emotion changes it into one of love; in other words, love is any shared positive emotion. Read complete post http://bit.ly/oEVs47 .